"Strong Woman Do Bong-soon" is a crazy mix of silly, danger, romance, and the unbelievable. Since Bong-soon fought the gangsters, her strength has been difficult to control. Combine that with her new job for Min-hyeok, Gook-doo's out-of-control worry, and an incongruent but very dangerous kidnapper/murderer on the loose, this show has gotten pretty exciting very quickly. The number one aspect of the show that stuck out in episode 3 was the physical humor. Grown men pee themselves in fear of her; chryons depict humorous mutterings; Min-hyeok and Bong-soon bicker incessantly; Bong-soon believes Min-hyeok is gay. All of these things collide to create a Monty Python-esque tone. While it is fun for most of the episode, every once and a while it became too much. There is only so much drooling and urinating I can take before it becomes excessive. Family is an important emphasis of the show - messed up family. Bong-soon obviously has the supernatural element in hers. Compound that with an every day worry of her pristine mother that Bong-soon's super-strength will keep her single and we get a mother who promotes promiscuity when every other Korean mother would balk in horror. The mother treats Bong-ki differently and the obviously preferential treatment is highlighted. 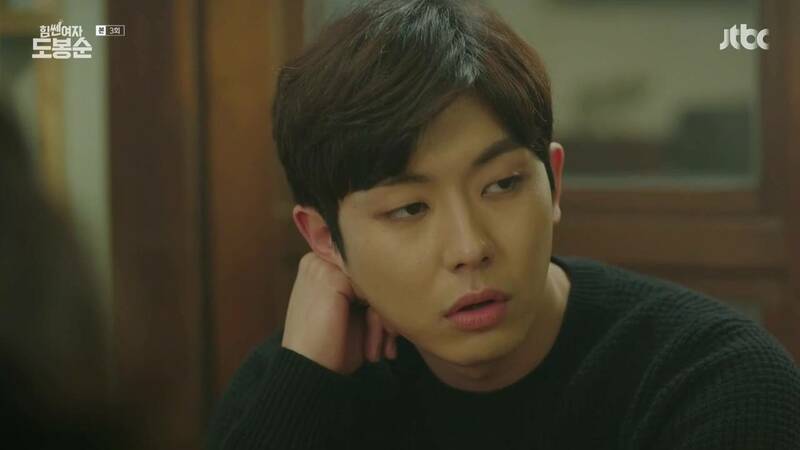 Min-hyeok's family is based in shady, competitive dealings that have definitely made Min-hyeok suspicious and worried for his safety. These family stories are still being fleshed out, but they are definitely interesting. I'm wondering how they will later collide. 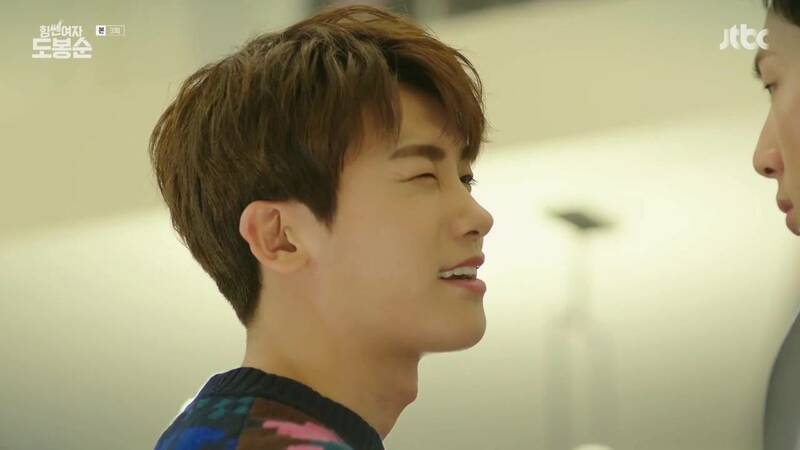 Park Bo-young is, as always, absolutely charming and her chemistry and onscreen rapport with Park Hyung-sik is amazing. I'm looking forward to romance happening. Ji Soo's character hasn't given him much to work with, but it's clear he is a strong presence. The villain is still mysterious, unknown and terrifying in this thrill in the chase. I'm still having trouble reconciling the darker tone with the comic book-like depiction of Bong-soon's powers and her relations with victims of her power. I know eventually it will manifest in relation to Min-hyeok. Until then, give me more cute Park Bo-yeong!